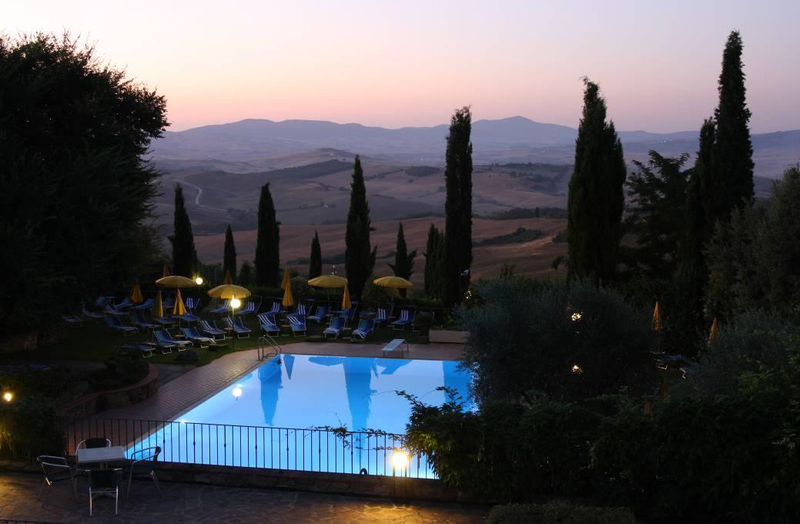 Of the many beauties, hidden and not, in Val d’Orcia, one of my favourites is a hotel with wellness centre just outside the beautiful medieval village of San Quirico d’Orcia. Enjoying a unique view over the Val d’Orcia Natural Reserve, this centre has many treasures to offer visitors. On arriving one can’t avoid taking in the breathtaking view with hilltop Pienza, Radicofani and Montalcino in the background. Secondly, one is instantaneously hit by the sense of tranquillity of this hotel. Guests can enjoy this peacefulness, together with the wonderful landscape, either sitting next to the outdoor swimming pool, maybe sipping a drink from the cocktail bar, or from their suite in the hotel. 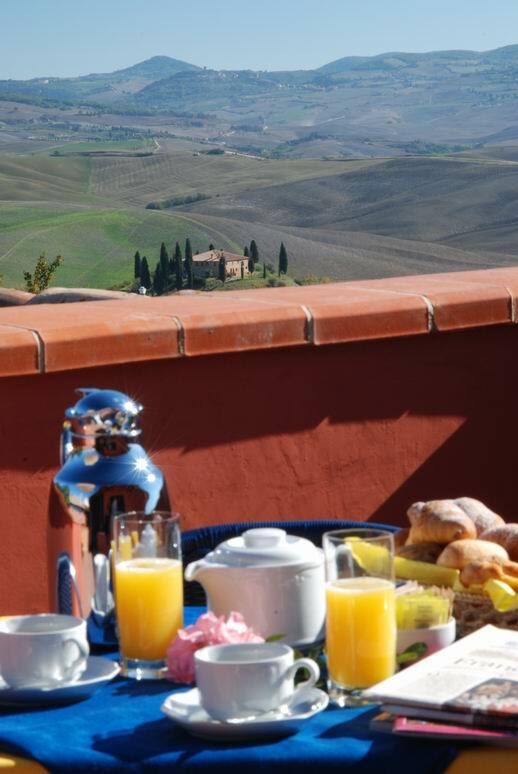 For the adventurous wanting to explore the Val d’Orcia one can organize at the reception a trekking or mountain-bike tour. For other sport addicts there are a tennis court, a mini football court, a fitness centre and billiards, just to name a few. However, the real fun is all inside, where guests can finally retreat from city bedlam and finally find aesthetic, physical and mental wellbeing. Here one can enjoy all kinds of treatments from massages to aromatherapy steam baths, from beauty treatments to total body solarium, from chromotherapy to saunas, and much more. To avoid being spoilt by choice there is thankfully a professional staff that helps guests to choose a personalised programme for all kinds of needs. 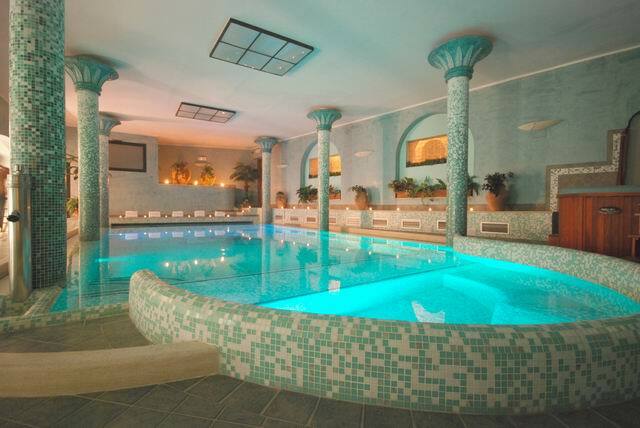 Breathtaking is the pseudo-Roman hydro massage swimming pool, whose sodium chloride water at 32°/34°C really relieves tension. 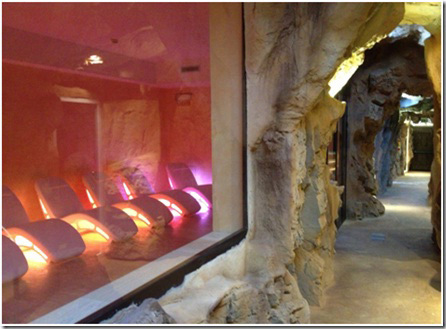 Now adding to all this, the wellness centre has recently inaugurated the Etruscan & Salt Caves. Underground guests will discover a whole new world with hot tubs built in the rock, a thermal cave, a Turkish bath, a Salt Cave, the Relaxation Room and the Tea Room. 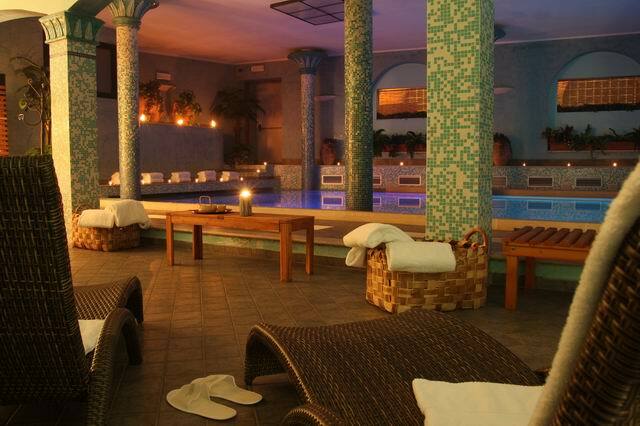 The high concentration of magnesium and potassium contained in the thermal water has an osmotic effect, allowing the minerals to be absorbed through the skin with incredible benefits for the body: strengthening the immune system, protecting sensitive skin, releasing hydrating and draining properties as well as cardiotonic effects and great stress relief. Here too guests can select various programmes to follow, choosing either the Salt Cave, the Etruscan Cave or the Thermal Cave. The hot tubs also have head-lumbar waterfalls, while feet will enjoy the reviving plantar path. 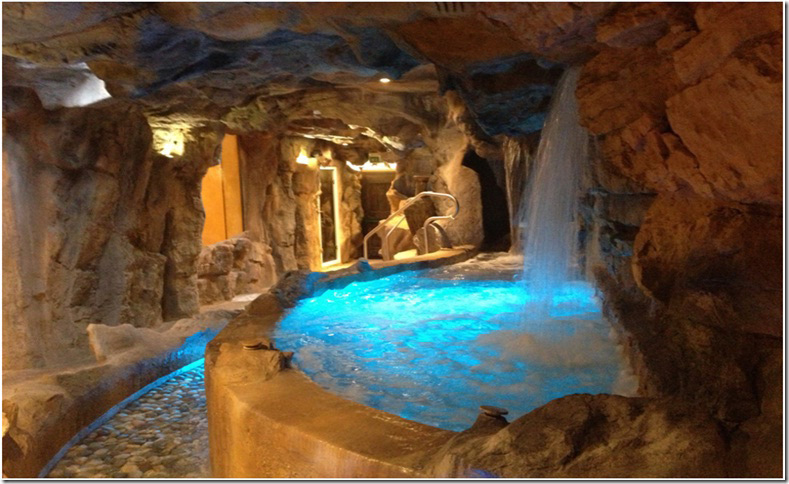 There is even an anti-ageing waterfall – ice cold! To conclude one can relax on a chaise longue and enjoy a chromo massage or a nice cup of tea. At the end of such a relaxing day what’s better than tasting delicious typical dishes at the restaurant at just 20 metres from the hotel? 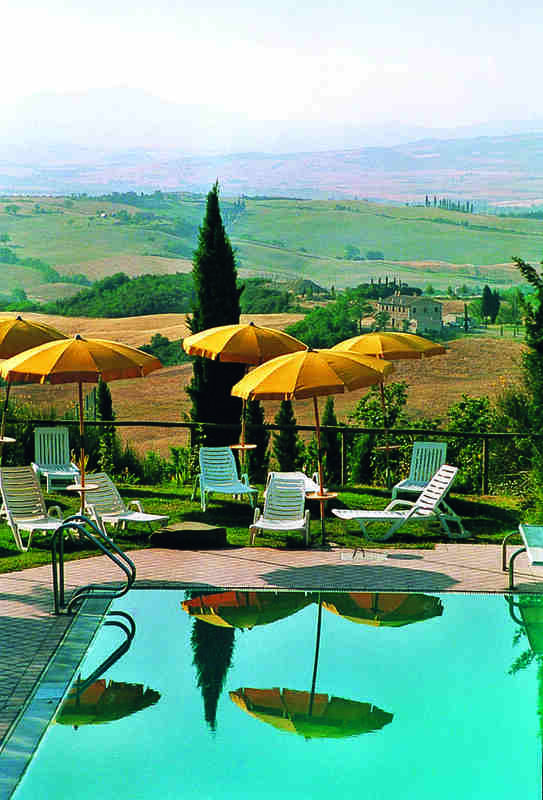 Built inside a 13th-century farmhouse and surrounded by a garden, this restaurant enjoys the same magnificent view over the Val d’Orcia as the hotel. 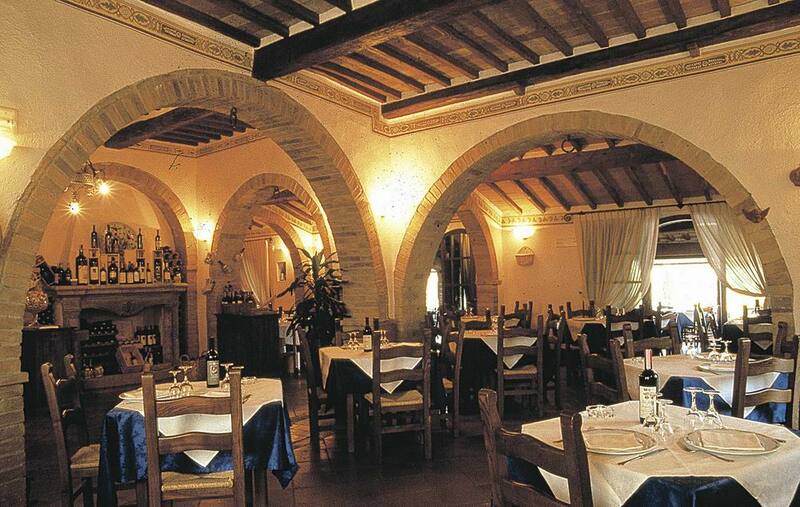 Here menus change seasonally following the natural course of local products: most are based on traditional Tuscan dishes of the past, even dating back to Etruscan times, some are the recent inventions of their creative chef. My particular appreciation goes to their eclectic wine cellar which obviously also includes the most prestigious bottles of Brunello di Montalcino, Chianti and Vino Nobile di Montepulciano, but even the red and white house wines are not to be snubbed. 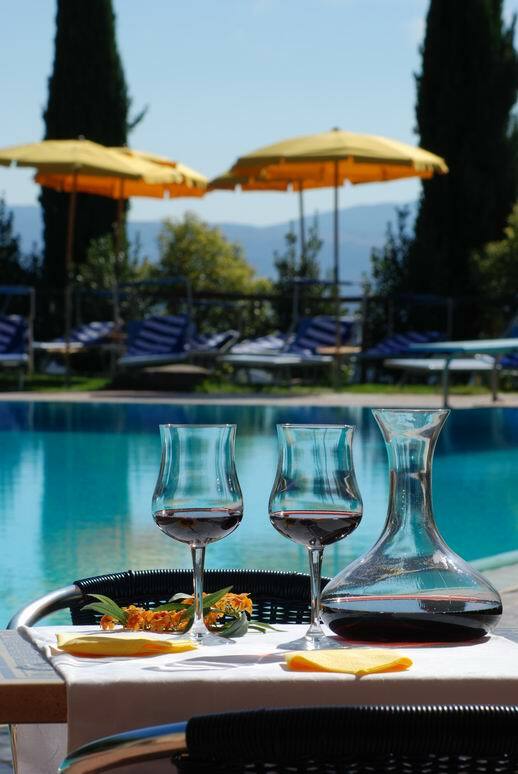 Open all year round and accepting arrivals on any day of the week (in contrast with traditional accommodations which during the high season only accept arrivals on Saturday), this hotel is really an excellent location for a completely relaxing holiday in the heart of Val d’Orcia. Questa voce è stata pubblicata in Accommodations in Tuscany, Tuscan lifestyle e contrassegnata con Montalcino, Pienza, San Quirico, tuscan countryside, Val d'Orcia. Contrassegna il permalink.